“Are we there yet?” is the all too real soundtrack when travelling with young children. However, most often that soundtrack devolves into wails and cries from those too little to express themselves with words. On the flip side, there’s nothing to match the delight on their young faces when sitting around the campfire, dipping their toes in the lake or seeing the Disney castle in person. Family trips are the perfect way to create happy memories and spend time together. Although worth it in the end, these trips are more difficult when young children are involved. Young children lack the patience and understanding that makes travel more manageable with older children and adults. Yes, travelling with young children is an adventure of both joys and difficulties. 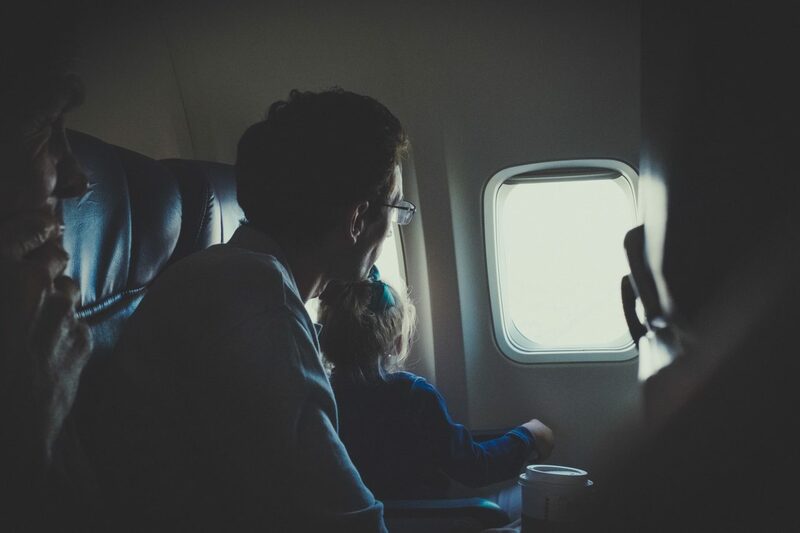 To make it easier and ensure that your travels are as smooth as possible, we’ve come up with a helpful list of “dos” and “don’ts” for travelling with young children. No one likes to imagine getting separated from family members while travelling, but it can happen. Prepare for the worst by thinking ahead. Adults in the family can use the Picniic app so it’s easy to track each other’s location and find each other should you get separated. For young children, consider tucking relevant information such as your phone number, name and any allergy information into a pouch on a lanyard they wear around their neck. As they say, better safe than sorry! With this information available, if your child gets separated, a helpful adult will be able to contact you and reunite your family. Boredom is part of travelling with young children. Stave it off as long as possible by preparing an activity bag full of fun! Keep activities in mind that are good for the car or airplane. If you have a layover in an airport, it’s best if you can get your child to move around and explore for a while before they’ll have to sit still again. With your child’s favorite activities packed, you can make sure your child will be as busy as possible while travelling. Although it’s impossible to eliminate boredom completely, good preparation can minimize the meltdowns. Would you love your child to be an angel throughout road trips and/or flights? Of course you do! But, it’s simply not realistic. Lower your expectations to save yourself stress and worry. If you’re expecting a few periods of whining and crying, they will seem much more manageable. Young children can be especially unpredictable. Whether it’s an accident that leaves your child with wet pants, a drink is spilled or your little one gets nauseous, it will only be worse if you have to dig through suitcases to fix the situation. If you’re flying, keep a change of clothes in your carry on so that you will be prepared to handle any situation that may come up. And remember, DO pack extra clothes for yourself as well as your child. If you’re in close proximity when a messy accident happens, your child won’t be the only one who needs a change of clothes. When travelling and trying to enjoy a vacation with young children, sometimes less is more. Yes, there may be lots of fun things to do and see, but keeping things simple and limiting yourself to one main activity per day may be wise. Young children can easily become overwhelmed and overstimulated. So, plan for that by keeping your schedule open and flexible. Remember to plan for naps and down time. While driving, plan some longer breaks so that your little one can stretch their legs. Any parent knows that little children constantly need snacks. Don’t forget the snacks! Pack healthy, easily accessible snacks that your child can grab as they need them. This will ensure happy travels. Need help with creative snacks? Search and store snack recipes on Picniic so that you’ll have an easy time shopping and packing for your trip. It’s impossible for everyone to be happy at all times while travelling together as a family. So, keep your expectations realistic. When planning your vacation activities, include something for everyone. For example, you might include a zoo visit for your child, a museum visit that relates to one of the adult’s interests and a hike that everyone will enjoy. The same goes for music or podcasts while driving in the car and taking turns watching movies or videos on the airplane. If everyone has a moment of something they enjoy, you’ll all be in a better mood. In our social media crazed world, it can be tempting to document every moment of your vacation. While it’s great to take some photos, don’t get stuck documenting instead of living in the moment. When you do take some pictures, make sure to upload them to Picniic for safe storage and so that everyone in the family can access them. Travelling with young children can certainly be challenging. However, with the proper preparation, you can make sure that the bulk of your trip is stress-free. With these helpful “dos” and “don’ts” in mind, you’ll be ready to enjoy a great vacation, including the travel portions. Are you an experienced parent with travel tricks up your sleeve? Share your own “dos” and “don’ts” in the comments below. We’d love to hear from you!